If you have been a follower of my blog for any length of time, you will recognize this author as one of frequent reads! I was first introduced to Debra Anastasia with her novel Poughkeepsie which I read a couple of years ago and fell in love with. Since reading Poughkeepsie, I have also enjoyed reading Anastasia’s other books, Crush Seraphim and Bittersweet Seraphim. 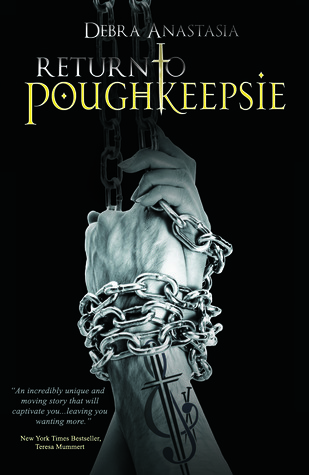 This week, Anastasia will be releasing yet another book that I will be reading for review shortly, Return to Poughkeepsie. This novel is available for purchase on 12/30! Be sure to check it out and spread the word on this thrilling new installment! Here is a sneak peak about whats in store for readers! Debra lives in Maryland with her family. You can find her at DebraAnastasia.com and on Twitter @Debra_Anastasia.